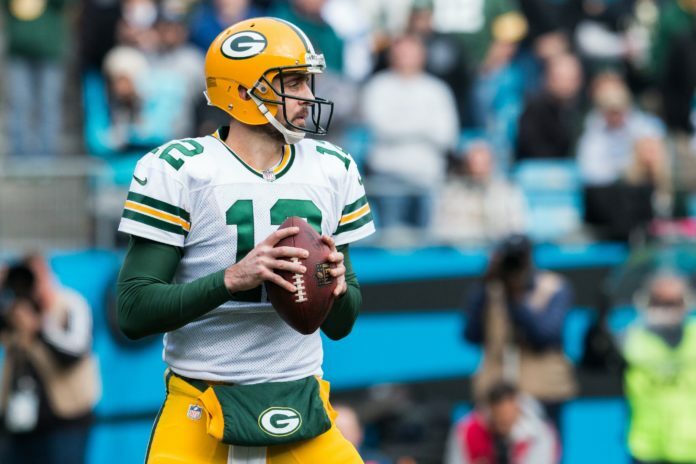 While things didn’t work out very well for the Green Bay Packers in 2018, the team can now hope to get it better in 2019 since they will have quarterback Aaron Rodgers in full health. Rodgers recently spoke with NLF Network and revealed that he managed to avoid surgery and will be ready for this year’s training camp. Rodgers suffered a knee injury in the season opener against Chicago Bears, and the 35-year-old was forced to wear a brace for the better part of the season. He also hinted that surgery might be required in the offseason to help him overcome the issue, which would make him questionable for 2019 season opener. Luckily for Green Bay, however, that won’t be the case. Despite struggling with the injury, Rodgers played on a high level throughout the better part of the season. He completed 62.3 percent of his passes for 4,442 yards and 25 touchdowns while only throwing two interceptions.